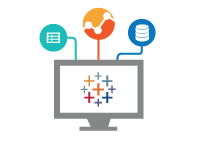 Learn more advanced topics in Tableau such as optimising your dashboards for performance, create interactive geo-spatial visualisations and learn to connect to many different data sources through Tableau. 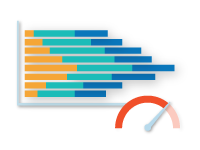 As Tableau can combine multiple large data sources, users must monitor performance and loading times carefully. In this course, we’ll see techniques for reducing loading times, from joining data sources to changing calculations. This course moves beyond the regular visualizations in Tableau and shows users how to create more advanced charts such as layered maps, funnels and waterfall charts. 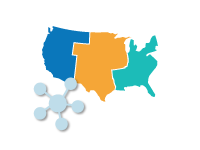 Tableau contains connectors to many data sources, from Google Sheets to SQL databases. We’ll learn how to connect to these data sources, create joins and blends across them, and publish them to Tableau Online and Tableau Server.